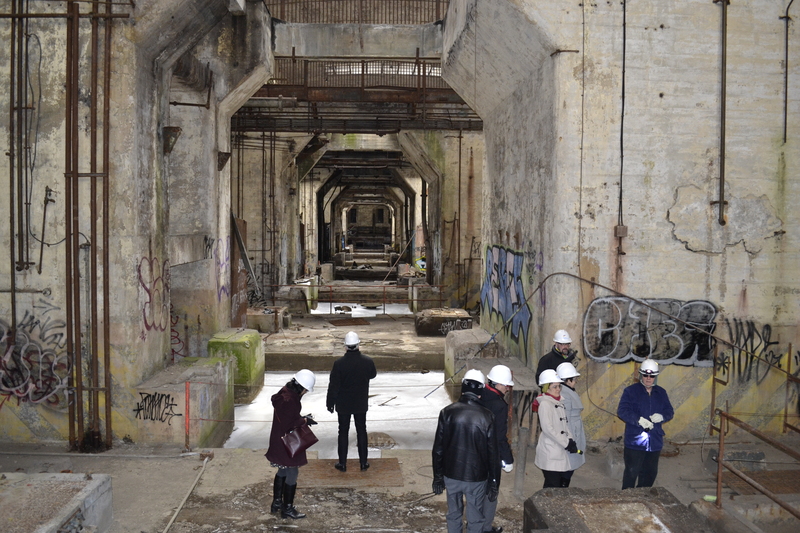 Students tour the abandoned Delaware Power Station. Photo credit: Ryan Debold/Lindy Institute. 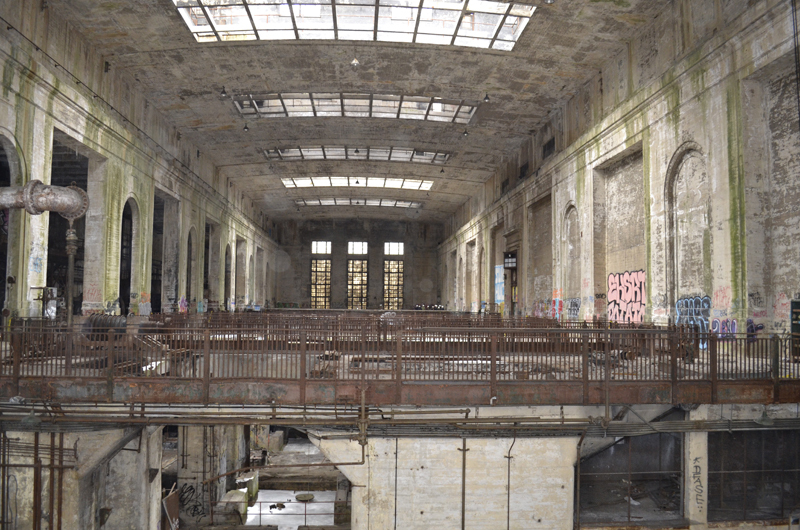 The Delaware Power Station is a largely vacant 300,000-square foot building – notable as a set for Hollywood productions such as “Transformers 2” and “The Last Airbender” – which dominates more than 1,000 feet of Philadelphia’s Delaware River waterfront. A select handful of Drexel University’s Antoinette Westphal College of Media Arts & Design students interested in urban design had the opportunity to generate fresh ideas and create a vision for the future of the Delaware Power Station, along with the Lehigh Viaduct and surrounding Port Richmond area of Philadelphia. Along with 15 students and two faculty members from Germany’s TU Dortmund University, the students participated in an intensive urban infrastructure planning and design process on Feb. 28 – March 1 to develop concepts for repurposing this post–industrial infrastructure. During the two-day workshop, the students visited the power plant and surrounding area to assess the physical, social and economic aspects of the sites. They documented and analyzed the land uses and existing plans for the sites, and conducted interviews with experts, residents and other stakeholders. Then they discussed their findings and clarified issues, developed ideas and recommendations and, finally, presented their outcomes. The outcomes will be compiled in a comprehensive, reader-friendly document with graphics. It will be available to the public on the websites of Drexel University, the German Marshall Fund and the William Penn Foundation. Prior to the charrette, a public forum on this topic, entitled “Creative Transformations: Lessons from Transatlantic Cities,” featuring international experts and local leaders, was hosted by the German Marshall Fund at Moore College of Art. 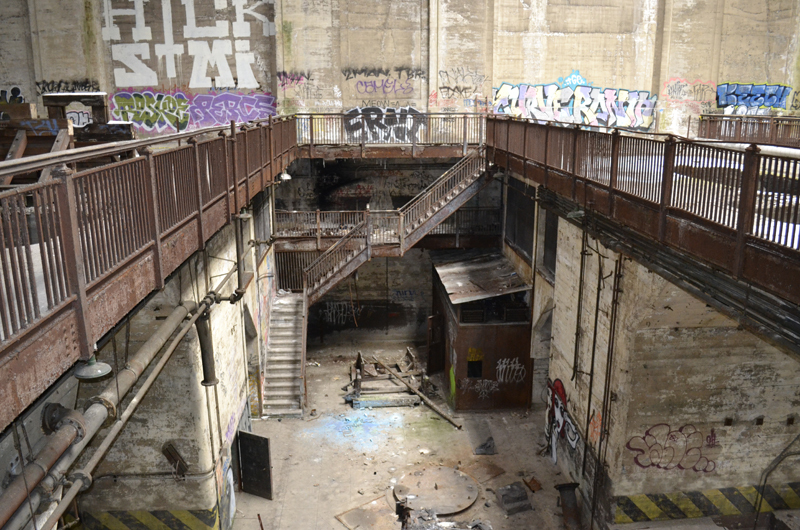 See a full gallery of images from the Power Station tour here. Read the full story on DrexelNow here.